These three measures are the essential building blocks for the growth and development of the strongest bone possible. Once growth is complete by your late 20s to early 30s, these measures are critical for support of bone health. Although calcium and vitamin D are the repeated mantra over and over for bone health, they are both controversial topics in medicine today. Review of the same scientific evidence has led to different interpretations and recommendations for vitamin D. Should you take calcium or not? Previously, we healthcare practitioners largely ignored diet as a source of calcium when counseling our patients about bone health. 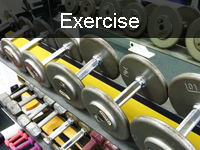 Most common recommendation was to use a supplement of 500 to 600 milligrams twice a day. We did not take into account anything you ate or drank. Now we have learned dietary sources should be counted first. Supplements are needed only if your food does not add up to your recommended intake. The 2010 calcium recommendations lowered amounts for those over 50. 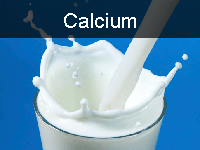 Daily calcium intake for women over 50 is 1200 milligrams and for men 1000 milligrams. Men should increase intake to 1200 milligrams after the age of 70. The average US intake of calcium without dairy products is about 300 milligrams. So as a woman over 50, if you don’t drink or eat dairy products, you will not need to take more than 800 milligrams in supplements. Also don’t forget to look at your other “vitamin” supplements. They may also contain calcium that you need to account for. For vitamin D, what is “normal range” for vitamin D blood level that reflects adequate vitamin D status? The Institute of Medicine used 20 ng/ml as the target blood level for vitamin D. Their 2010 updated recommendations for daily vitamin D intake are based on that goal. However, in clinical practice the 30 ng/ml is still the predominant target level. 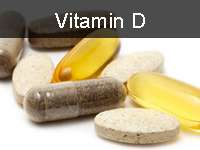 How much vitamin D do you need? It is still being debated. New insights about exercise and bone health focus the recommendations beyond just 30 or 60 minutes of formal physical activity. Core strength and balance are paramount to maintaining stability and preventing falls. If you don’t fall, it is unlikely that you’ll break a wrist, shoulder, or hip.